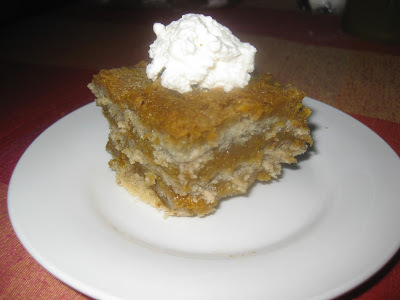 If you LOVE pumpkin, as much as I DO, you must try this easy-to-make pumpkin layered cake. Each bite melts in the mouth, leaving a perfect flavour of pumpkin, cinnamon, and walnuts. I must give all the credit for this recipe to my friend D.M. She worked on the recipe for years and gave me a perfected version of it. I made very small adjustments to reduce the calories. 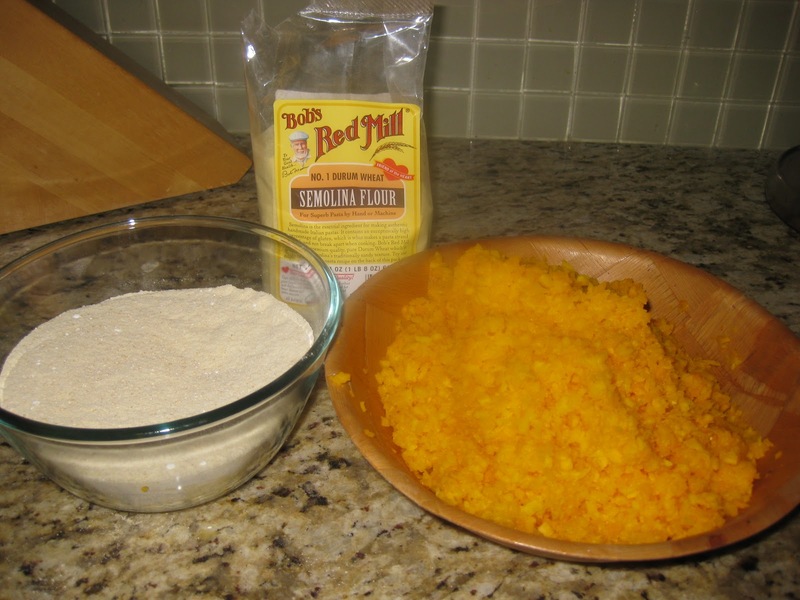 Combine the dry ingredients in a mixing bowl. In a sauce pan saute the shredded pumpkin with the oil and the sugar. Add the cinnamon and the vanilla at the end. Grease a 8x8 cake pan. Lay 1/3 of the dry mix in the bottom of the pan, following with a layer of the 1/3 of the wet mixture. Continue layering, alternating dry and wet, finishing with the wet mixture as shown on the photos below. 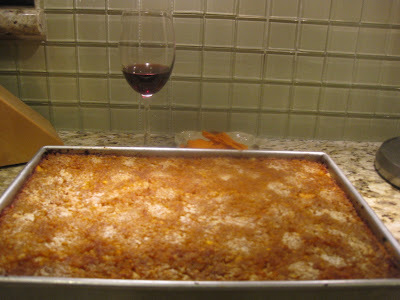 I made 2 batches at once and used a 13x9 pan. 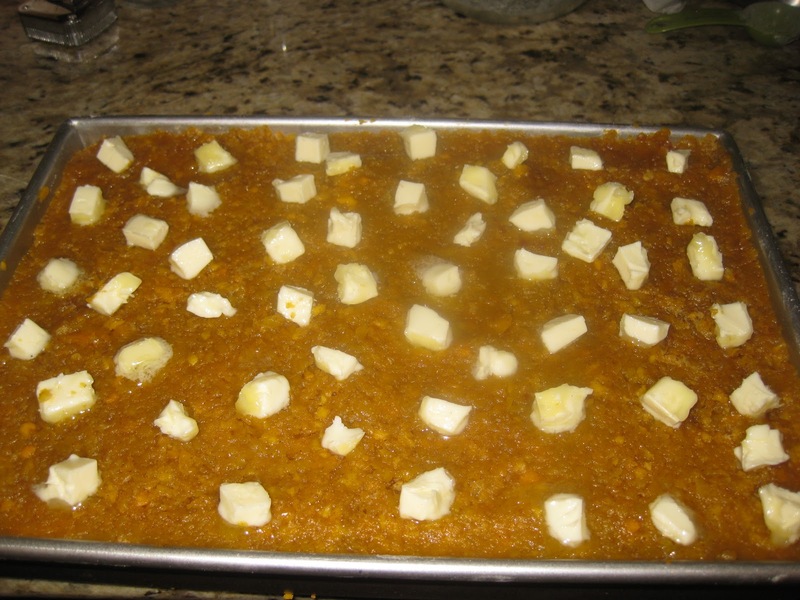 Cut 2 tbsp of butter into small chunks and space them out on top of the cake. I think using additional fat ( butter or oil) in this step can be avoided. 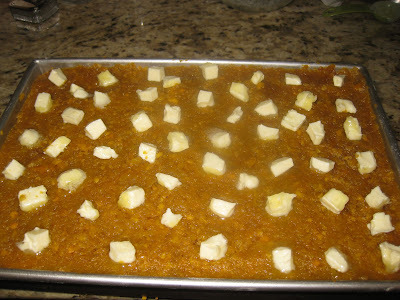 The cake is moist enough from the pumpkin and can do without extra fat. Bake the cake for 30-40 minute. 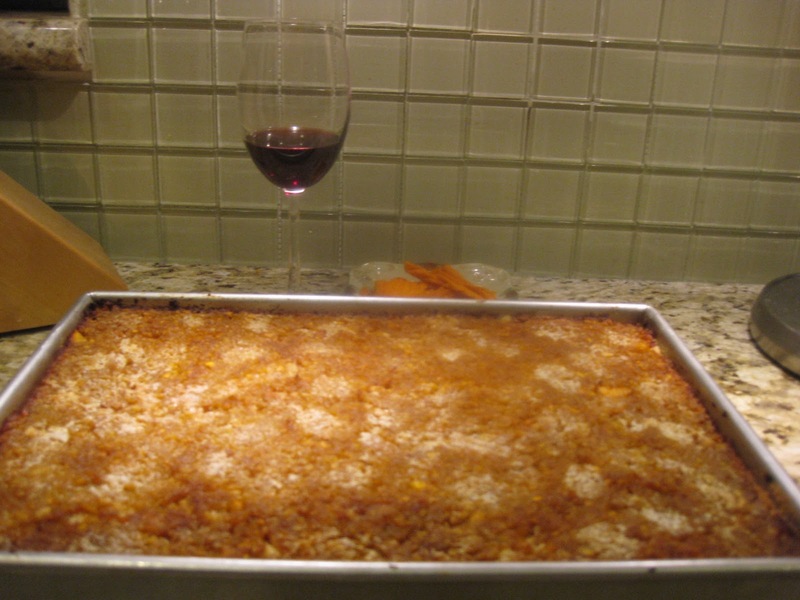 Allow to fully cool and cut into 12 squares. Decorate with a spoon of whipped cream and enjoy!!! De winkel heeft problemen voor mij opgelost, de service is zeer geduldig,replica horloge Nederland dit is een perfecte aankoop. Een kopie van het horloge Toen ik dit horloge ontving, vond ik het een goede kopie van het horloge. replica hublot horloge Ik vind deze online winkel leuk, dit horloge is eenvoudig en genereus. Zeer tevreden met deze aankoop.